A lack of understanding around what motivated customers to upgrade, along with lack of clarity on the value of upgrade interactions, hampered this global software leader’s ability to plan, improve, and accurately anticipate customer actions and revenue drivers. Internal research showed that customers didn’t receive a consistent and relevant experience across product lifecycles. But what would it take to turn around this negative trend on high-margin revenues? This engagement focused on understanding, measuring, and improving the upgrade (repurchase) lifecycle of midmarket business customers. Focusing on the greatest revenue opportunities, we mapped the customer experience—wants, needs, interactions, and emotions—through the re-purchase stages of the customer journey. Specifically, we analyzed the process in depth at the stages of consideration, knowledge, (re) purchase, satisfaction, and loyalty. After analyzing existing data, we conducted a series of internal interviews with a cross-section of management and channel-facing staff to understand internal opinions, defining the current upgrade process and deployment support systems. 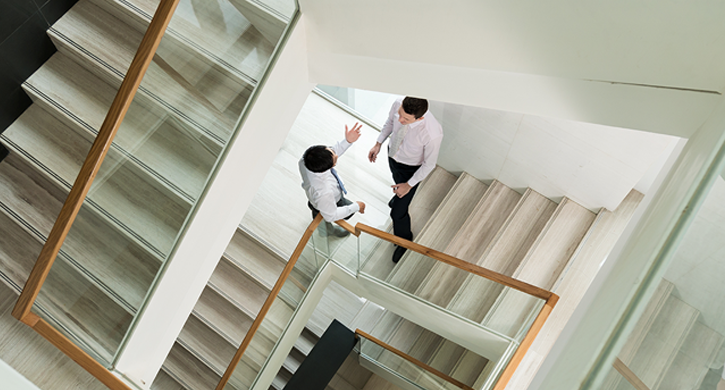 Customer experience and touchpoint gaps and redundancies. Customer experience and touchpoint analysis led to a restructuring of the upgrade process, with a 37% reduction in total touchpoints and opportunities for cost reduction and process efficiency improvement of over 20% each. In combination, these findings rendered the bulk of all company controlled upgrade-related touchpoints (740 in total, across 17 different types) irrelevant. 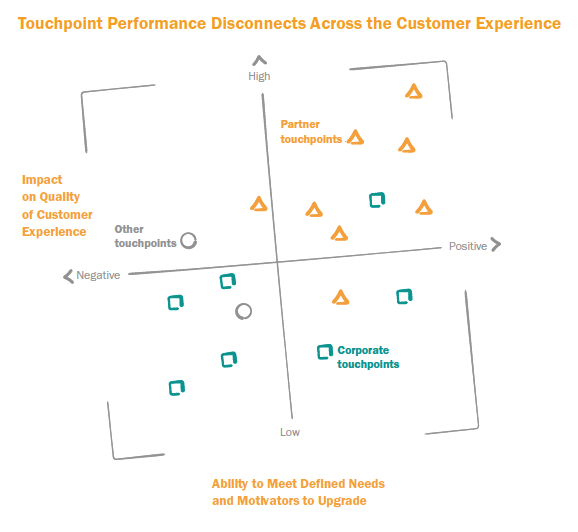 Across 17 categories of “touchpoint types,” most corporate touchpoints had a negative impact on the quality of customer experience and were poor at meeting needs, while partner touchpoints tended to be better received and were more effective. Recommendations were filtered through the lens of touchpoint value, cost, and efficacy, as measured by their ability to move customers through the upgrade channel. This entailed reducing the number of individual touchpoints, focusing on high-value touchpoints, and reorganizing the upgrade process. McorpCX also made recommendations for ongoing measurement (and integration) of partner and customer feedback.